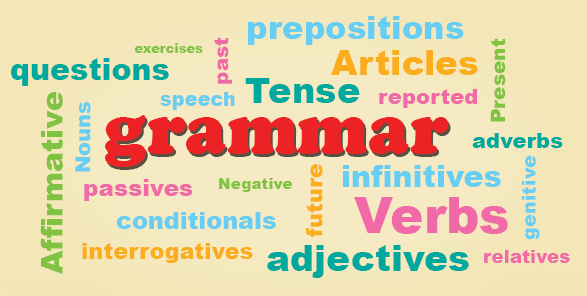 How to Improve English Grammar? I am writing articles since 2010. Still, I find it difficult to write an error free article in English. There are too many things (rules) to remember. Also, I am not a native English speaker. So, I always try to learn English grammar and adapt them to my works as soon as possible. This helps me to improve my English grammar a lot. This is not only common problem for a non-native English Speakers but also for most native English speakers on the planet. We normally use speaking English even when messaging with friends and totally ignore the grammatical rules of English. This is not that much problem for common people. But a grammar mistake can cost a big for bloggers. Google's aims to make users more engaging a comfortable with a blog. That's where the game begins. If your article is not error free and polish enough, users can feel irritated with your content. And, Google doesn't like that at all. A grammar mistake can cost your rank on SERPs. So, for bloggers, improve English grammar is not only good for themselves but also for SEO too. Grammarly and Grammar Checker is my favorite online tools that I use when writing an article. I use their free version, so I use them both to crosscheck the error. Although Grammarly premium is more than enough for a blogger. Grammarly premium comes with 250+ new and premium checks, relevant corrections for every writing situation, professional proofreading, plagiarism check and available directly from Microsoft Office. This famous SEO plugin not directly involved in English grammar. But, it’s helped me a lot to improve my English grammar. Their readability check helps you know the suitable text structure and where to use them. Their suggestion article also helps me lots to understand the English writing styles. And, the best part, their copy scores always engages me to use my grammar skill. Must Read:-How To Choose An Affiliate Product To Promote? Point out mistakes and write them in a notebook is always a good move for any profession. After you found out your grammatical mistake write them in a notebook as soon as possible. This will help you to memorize your lesson for a long time. Also, keep applying them in your works to practice the lesson. There are many online sites available for free to test your grammar skill. Test your skill there to find out your mistakes and improve your grammar skill. This is the best way to know the depth of your grammar skill. Also Read:- How To Buy a Perfect Memory Card? Although most things are similar to both English. But there are hundreds of words that changed their spelling after they crossed the Atlantic Ocean. In some cases, American English simplified spellings by dropping extra vowels. Also, there are a few subtle differences in grammar between American and British English. And, the few major differences between British and American punctuation involve quotation marks and abbreviated titles. You can't learn the English grammar, overnight. You have to point out your mistakes and adapt your lesson to work. Keep applying and practicing to improve your English Grammar. Thanks! A very nice article. I've been using this grammar checker but I will definitely try these two too! Thanks!!! Great article, thanks. I also prefer using different useful checker or services like this because my grammar is very poor. I also will follow your advice and will note down my mistakes and I hope with time I will become better writer. Thanks. The two sites you highlighted are nice, but you left out Paper Checker. Thank you that you share with us their experiences and valuable knowledge. I will definitely take advantage of your advice to improve my grammar. Practice makes a man perfect. I think more writing and reading helps one to improve his/her Grammar. Hi, your grammar article are awesome. i found really help full things from your blog. keep posting and thank you for sharing your great knowledge. How To Make Your Blog Not Get Good Traffic? Things to keep in mind while choosing an affiliate product to promote.